Cost to install curtains varies greatly by region (and even by zip code). Get free estimates from window treatment specialists in your city. Cost to install curtains varies greatly by region (and even by zip code). A set of two panels of standard size curtains costs between $7-$1,000. Installing curtains adds ambiance to any room in the home and forms an integral component of most interior designers’ checklists. Installing a curtain can be a DIY project, but if you lack the required skills, there are professionals available, whom you may hire for the job. For standard size curtains, (measuring 15-50 inches), most homeowners spend between $7-$1,000 per curtain set of two panels, depending on the style, material, and brand. This guide takes a look at the average cost of installing curtains on eight, 27-inch standard windows in a one-story home. 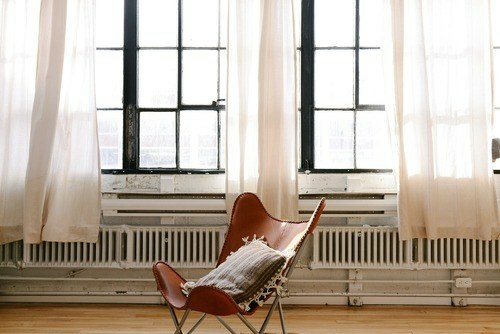 Curtains can change the look and feel of any room in your home, make it lighter or darker, while enhancing your decor. Therefore, you should make a careful and informed choice for the type the curtains you install. Curtains can be categorized by fabric, color, window width, height, linings, and whether they are ready-made or custom-made, and all of these things can affect the final cost. It can be difficult to make a decision for the right type of curtains for your home, but there a few guidelines you can follow to help. The height and length of your curtain depends on the actual dimensions of the window and whether or not you’ll be using the curtains to make your windows appear wider or higher than they really are. Curtains are normally installed six inches above the window frame, but you can install them higher to create a more dramatic look. Curtain panel measurements extend from the top of the panel to the bottom hem, so be sure to take that extra measurement into consideration when ordering. In addition to determining the total curtain length, knowing the position of the curtain above the window trim helps you to determine where and how to install the curtain rod. To get the width of your curtains, add 4-8 inches on either side of the window, and double the measurement for fullness. The extra inches around the perimeter of the window frame help to block any light, but do require the curtain rod to also extend beyond the window frame by the same dimensions to allow for partial opening of the curtain, while making the window look wider. Curtains need several accessories such as rods, clips, finials 1, holdbacks, and tiebacks for their installation, which are available at different prices that will increase the final cost of your curtain installation. Rods come complete with all accessories like screws and brackets 2 for fixing, and are available for $20-$200 depending on the materials (wood, aluminum, steel, or plastic) and their sizes, which can vary with the curtain weight and window length. Most metal rods are 1-inch diameter hollow tubes, while wood and plastic rods can be thicker. Curtain rods may not include finals, which are decorative rod-ends that can come together with the curtain panel as a set, with the rod, or as a separate hardware at around $10-$80 per pair depending on the material. Hanging clips or rings, if your curtains require them, cost from $5-$600 per set of ten, depending on the material, style, and quality. However, the most common ones range from $5-$25 per set, with only the very high-end ones costing up to $600 per set. Holdbacks and tiebacks for holding the curtain back from the window to match the decorative rods or curtains cost $7-$70 per pair when sold separately, but they may also be sold together with the rod or curtain. Before installation, determine where to hang your curtains to determine the required measurements for the curtain panels for a perfect fit before purchase. Curtains can be installed inside or outside your window casing, depending on the location of the curtain and the look you want to achieve there. To install window curtains, professionals charge around $10-$20 per window; for a project of eight windows, the cost will be around $80 - $160 in labor. The installation team comes with their own tools and can also do the measurements for you if you contact them in advance of purchase. Custom made curtains offer different benefits, such as the option to customize the dimensions of the curtain panels to your window size, as well as infinite design options in both material and style. These benefits make them more expensive than off-the-shelf curtains; they average between $250-$1,500 depending on the material, style, and size. Curtains can be layered in ultra-thin translucent curtain panels, also called sheers, to filter sunlight while providing minimal privacy, usually accompanied by thicker curtains that can be rolled out according to light needs. These curtains cost $10-$100 per panel and vary with the material type, size, and brand. A curtain may include a valance (a short piece of cloth that covers the uppermost part of the window hiding the rods), which enhances the window decor and lets light in. Typically, valances cost around $10-$50, but can go up to $600 for superior quality brands. They are mostly hung on kitchen windows. 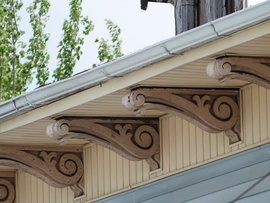 Cornices, which are constructed wooden boxes above window trims, are sometimes added to a window on top of the rod to disguise it, adding to the aesthetics of the window treatment. Their prices range from $150 to $600. Traverse rods allow you to open and close curtain panels across window track systems using a draw cord, and cost around $20-$180. Curtains on high windows can be fitted with crank-systems to open by a pulley cord, and are available for between $100-$300. If you are buying more than one curtain, some stores may give a discount on each set you purchase. Many stores adjust your discount according to the quantity you purchase, and you can easily end up with a 10%-30% savings on each curtain. Installing curtains on high windows significantly raises the cost, sometimes by as much as 100% due to the need for specialized equipment for operating and installing the curtains. Curtains can reduce room heat loss or gain by acting as insulation, lowering energy consumption by air-conditioners and heaters by 10%-40%. For example, multi-layered curtains made of tightly woven silk or satin act as thermal insulators and prevent heat transfer between room and outside air; they are available for $20-$150 per panel. Bathroom curtains need to be sturdier than others given the level of privacy needed. Therefore, lined curtains are the best option. They also need to be made of a fabric that is weather-resistant to stand the high humidity and heat changes. For bathrooms and kitchen windows, floor-to-ceiling curtains should be avoided due to the wet floors and high traffic that may damage to hems, and which necessitates regular cleaning. If possible, other types of window treatments, such as blinds, may be better options for kitchens and bathrooms. How much does it cost to install curtains in my city? Cost to install curtains varies greatly by region (and even by zip code). To get free estimates from local contractors, please indicate yours. Tables has been updated to be seen on mobile in just three colums to help mobile users visualice tables better. An image has been added for a better understanding of the project. Cost Considerations: Aluminum is a much cheaper material than copper, and its price is steady, whereas the price of copper is generally higher and fluctuates wildly. For example, the price of copper has varied from $2 to $4.50/lb over the last 5 years, and aluminum has varied between $0.65 and $1.25/lb. According to a national survey, the price difference between copper and aluminum for lightning protection for residential properties was $1.34/$1.18 per sq. ft. of roof and $0.80/$0.71 per sq. ft. of floor.